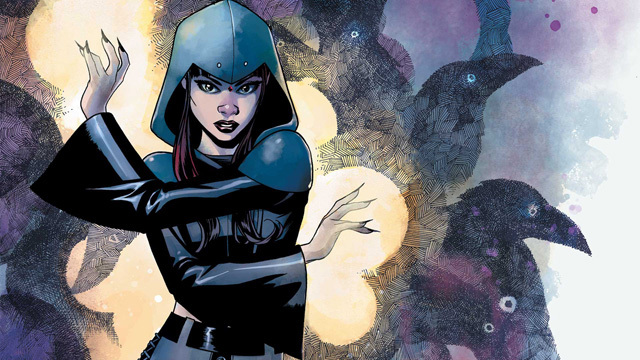 RAVEN #2 Review | Warped Factor - Words in the Key of Geek. 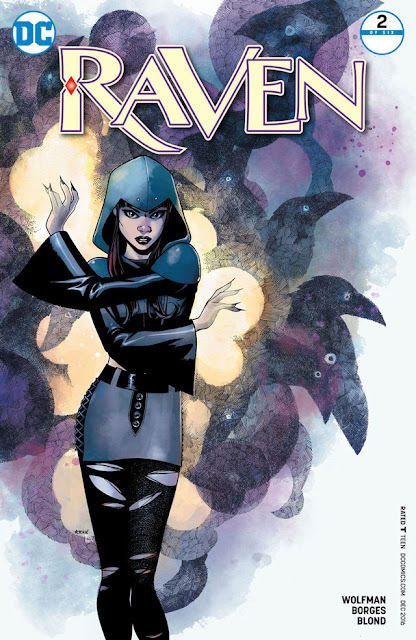 Gail Williams is split over Raven #2. Raven can split apart, her body and her soul can separate - but not for too long or there could be dire consequences. Things at school look rosy enough, even it Raven did have to use her powers to at least start that situation, but nothing calm lasts for long. Archer is back on his feet far too soon and Taylor has gone missing. That night, Raven wakes sensing pain and fear. She flies out finding the source, a white living light that draws in the crowd, turning them into white eyed automatons. The power ball expands. Raven desperately tries to turn the crowd around, to save them from being sucked into the ball. When Raven sees her friend Antt heading towards the light, she grabs the girl’s wrist, tries to pull her clear, but loses a fight she should have won easily. Antt enters the light, but Raven is thrown far clear and lands painful and blooded. Issue #2 of Raven moves the action on nicely. It’s drawn well, written well, yet somehow I am simply not engaging with it as I do with other series. Oh, don’t get me wrong, I enjoy it, but it wasn’t the one I picked up and went “Oh goody, goody, goody!” over. The creative side of this comic book I admire greatly, there is obvious skill and attention to detail. Raven in action hero form is wonderful, though I do think she looks rather masculine in the costume. If this is your sort of thing I can see why you’d buy it and I won’t argue with that, buy it and enjoy it. But for me the emotional detachment I feel in the read prevents me for giving this more than a three. Yet I can see how others would rate it as a four, potentially a five.